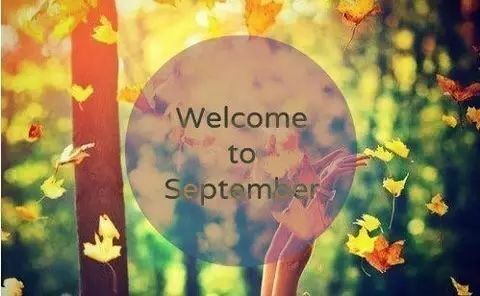 Hi,Everyone.Today is Sep.1st,it's the beginning of this month and the Autumn.Have you ended your holiday?Hope you enjoyed a wonderful time. Now we can concentrate on our work after a long leisure.Of course,September is the selling season in the world market.Hope all friends can get more orders,the same as us. So there is a promotion in our factory to meet the hot selling.All of our CNC,EDM,Wire EDM toolings are in promotion,which is suitable for Fanuc,Makino,Agie Charmille(GF+),Sodick,Zeiss,Hexagon machine. It's a good opportunity to prepare some inventories. Finally let's appreciate a tasteful article.Thank you. Try to remember the kind of September.When life was slow and oh so mellow. Try to remember the kind of September.When grass was green and grain was yellow. Try to remember and if you remember.Then follow-follow,oh-oh. Try to remember when life was so tender.That no one wept except the willow. Try to remember the kind of September.When love was an ember about to billow. Deep in December,it's nice to remember.Although you know the snow will follow. Deep in December,it's nice to remember.The fire of September that made us mellow. Deep in December our hearts should remember.And follow-follow,oh-oh.